The band's debut album, Foreigner, sold more than four million copies in the United States and stayed in the top twenty for a year with such hits as "Feels Like the First Time," "Cold as Ice," and "Long Long Way From Home." Their sophomore effort, Double Vision, topped their previous selling five million records and spawned "Hot Blooded" and title track "Double Vision." The third album, Head Games, was also successful due to the thunderous "Dirty White Boy" and another title track hit "Head Games." 1980 brought personnel changes so that now the band was a quartet and Rick Wills played bass. The departed members Gagliardi and Greenwood went on to the failed band Spys. 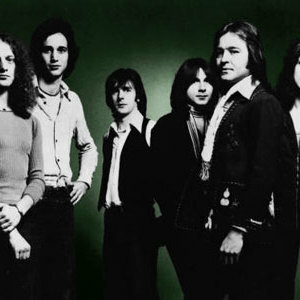 Foreigner's next album, their fourth and appropriately named 4, was their biggest hit containing "Jukebox Hero," "Waiting for a Girl Like You," and "Urgent." Their next album, Agent Provocateur, gave them their only #1 hit, a gospel-inspired ballad backed by the New Jersey Mass Choir, "I Want To Know What Love Is." The band then released Inside Information, but in the late 1980s Jones and Gramm each put out solo efforts and the band required personnel changes. In 1990, the band got a new lead singer Johnny Edwards and released the album Unusual Heat in 1991. The album was their worst selling album and only got as high as #117 on the Billboard charts. But by 1993, however, Lou Gramm rejoined Foreigner and produced what was supposed to be the band's comeback album, Mr. Moonlight. This album fared even worse than Unusual Heat due to the rising popularity of alternative and grunge rock, although the ballad "Until The End Of Time" was a minor hit. The reformed band stayed together through the hard times and toured throughout the United States recently with Journey. In VH1's "100 Greatest Artists of Hard Rock," Foreigner ranked 86th. Foreigner today is a staple of classic rock stations, and they still maintain legions of fans who admire and adore their innovative arena rock anthems, which have had a major effect on music and culture in the United States. In 2003, Gramm again left Foreigner to embark on another solo career and formed the Lou Gramm Band. In 2005, Jones, the only remaining original member of Foreigner, decided to reform the band and hired Kelly Hansen to replace Gramm as lead vocalist for the group.